On Saturday, April 28, 2012, the 5th Annual Philadelphia Armenian Genocide Walk will take place, providing an opportunity for the entire Philadelphia community to gather to commemorate the 97th anniversary of the Armenian Genocide, and educate the public on Turkish denial of the atrocities committed against the Armenians by the Ottoman Empire from 1915 to 1918. 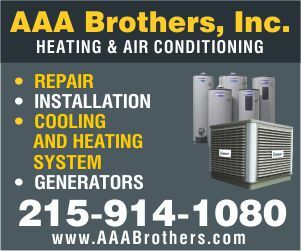 Hundreds will gather at the Mher Statue by the Philadelphia Museum of Art and will walk through the streets of Philadelphia to rally and bring attention to the cause. At the conclusion of the walk, a program will be held on the lawn of the Independence Visitor Center featuring keynote speaker renowned Turkish scholar, Dr. Taner Akçam. Dr. Akçam is a Turkish historian and professor who is considered one of the leading international experts on the Armenian Genocide. Autographed copies of Dr. Akçam’s new book, “The Young Turks’ Crime Against Humanity: The Armenian Genocide and Ethnic Cleansing in the Ottoman Empire,” will be available for purchase at a discounted price the day of the event. The program will also include performances by the Jampa Band and Hamazkayin Meghry Dance Group, and closing remarks by Dr. Ara Chalian, Armenian National Committee of Philadelphia (ANC PA) Chairman. The event will celebrate strength and perseverance, and demand justice for acts of Genocide committed by any nation. Free bus transportation will be available from St. Gregory the Illuminator Armenian Apostolic Church and St. Sahag and St. Mesrob Armenian Apostolic Church. The walk will take place rain or shine. For the program, in-door arrangements have been made at the Christ Church Neighborhood House, Great Hall, at 20 North American St (between 2nd and 3rd Streets, north of Market Street) in the event of rain. If rain is forecasted for April 28th, please visit www.armeniangenocidewalk.com for further details and the latest updates. ADDITIONAL: Visit www.armeniangenocidewalk.com for complete event information. To register, visit www.armeniangenocidewalk.com/register/: $15 pre-registration (online) or $20 on-site registration (day of the event). The last day for pre-registration is Friday April 27th, 2012. 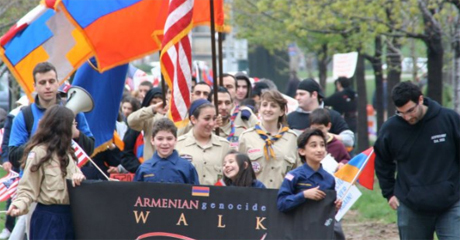 The Armenian Genocide Walk Committee is comprised of youth representatives from area Philadelphia Armenian churches and organizations. The committee has worked tirelessly over the past five years to develop a meaningful and special opportunity for the Philadelphia Armenian community to come together annually to make an appeal for justice. For more information, visit www.armeniangenocidewalk.com. The Armenian Genocide was the systematic killing of the Armenian population of the Ottoman Empire during and just after World War I. It was implemented through wholesale massacres and deportations, with the deportations consisting of forced marches under conditions designed to lead to the death of the deportees. The total number of resulting Armenian deaths is historically upheld to have been 1.5 million. It is widely acknowledged to have been the first genocide of the 20th century, and it is the second most-studied case of genocide after the Holocaust. The starting date of the genocide is conventionally held to be April 24, 1915, the day when Ottoman authorities arrested some 250 Armenian intellectuals and community leaders in Constantinople. Thereafter, the Ottoman military uprooted Armenians from their homes and forced them to march for hundreds of miles, depriving them of food and water, to the desert of what is now Syria. The majority of Armenian diaspora communities were founded as a result of the Armenian Genocide. The Republic of Turkey, the successor state of the Ottoman Empire, denies the word genocide is an accurate description of the events; in recent years, it has faced repeated calls to accept the events as Genocide. For more information, visit www.armeniangenocidewalk.com/about-the-armenian-genocide/.